My Vacation Lady sends a lot of families to Cancun and the Riviera Maya every year. So for those travelers who want a bit more than just laying on the beach, Cancun and the Riviera Maya offer some fun excursions and activities to entice you to leave the beach– even for just a few hours. 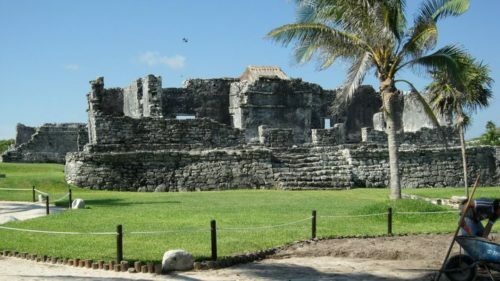 What are some of the fun family friendly things to see and do in the Cancun and Riviera Maya area? 2. Snorkel in the Underwater Museum- with over 400 life size statues that have been carefully placed on the ocean floor in the Cancun National Marine Park, this snorkeling tour is a great place to see more than just fish. 3. Seeing Baby Sea Turtles Hatch— between May and the end of November, sea turtles will come up on shore to lay their eggs in the sand. The baby turtles will start hatching during the summer and into the fall, so if you’re lucky enough to be in Cancun during that time, you may get to see the nests or even participate in the nightly release of sea turtles. 5. Blast your way over the water— this new adventure is like floating over the water. 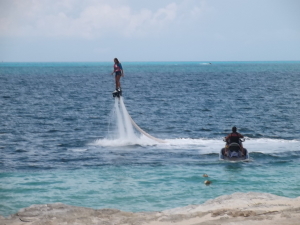 We saw people doing this on our last trip to Cancun and it looked like great fun. It’s called Jetpacking. 6. 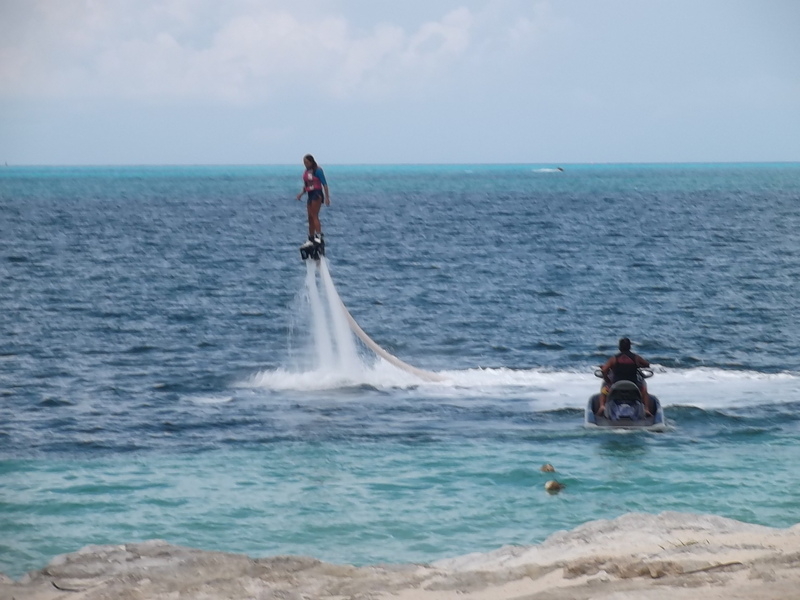 Visiting fun parks – Like Xcaret, Xel-Ha, Xplor, Xenses and more. Guess what? We can even send you to a great resort that will include free admission to all of these parks and more! 7. Snorkeling in a Cenote— you don’t need to be an expert snorkeler to snorkel in an underground river. 8. Challenge yourself with some adventures– Feeling adventurous? How about combining ziplining, hanging bridges, riding a ATV and bungee jumping all in one excursion? 9. Visit Mayan Ruins— with some great archaeological ruins of Tulum, Chichen Itza and Coba within driving distance of your hotel, you can combine history with your beach vacation. 10. Train a Dolphin– become a trainer for the day at one of the dolphin parks in both Cancun and the Riviera Maya. Of course, you can swim with the dolphins too! Let the vacation experts at My Vacation Lady help you plan your next adventure to Cancun or the Riviera Maya.